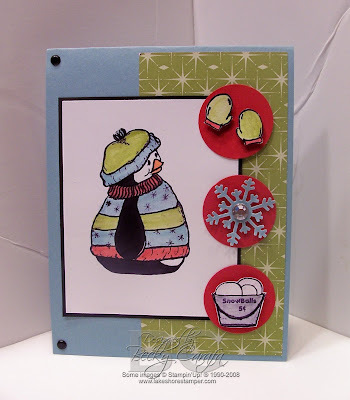 Today's Stamp Something Challenge was Snow Somethings! It is being sponsored by Firecracker Designs, so I used the images Erin sent me. I colored the image with a blender pen and the ink from the lids of my inkpads. There is clear spica glitter pen on the snowballs and a rhinestone on the snowflake. The three side images are all popped up on dimensionals on the red circles. I hope you'll play along with the challenge and see what the rest of the team made! This is so stinkin' CUTE!! Love the three panels with snow goodies!! :) What a fun card!! TFS! That penguin is so fun! Great card - the brad accents are a nice touch. Becky, this looks awesome! I love the colors, and the layout! So cute! TFS! So cute! Love the colors and the 3 little circles are so fun! Supercute card! Much prefer this penguin to the one I used. A job well done! That is so great! I love it! What a sweet sweet card! I love that Penguin...........the DP is great too. I came very close to using that paper today. 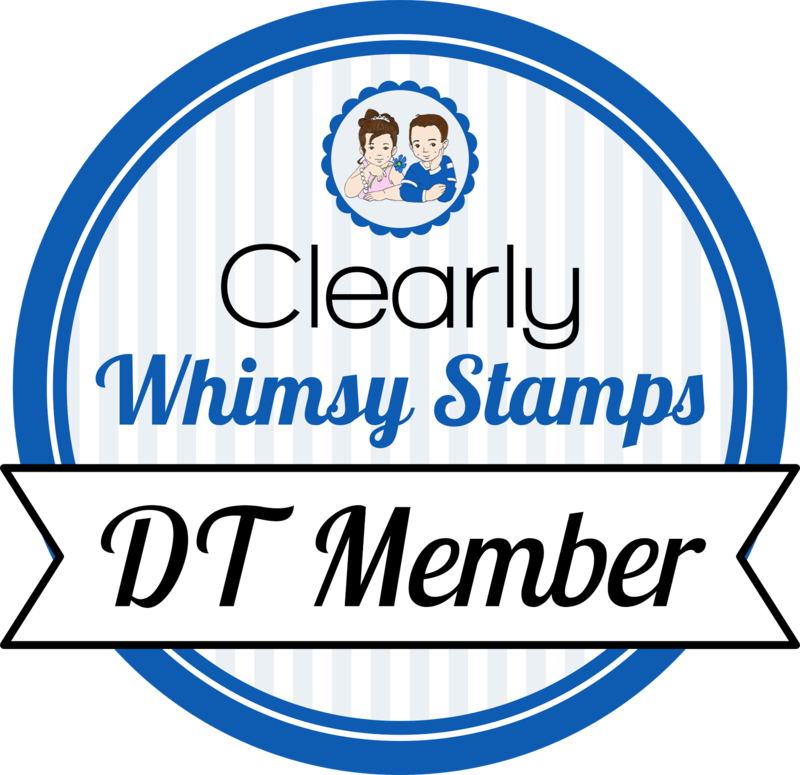 Great Blog!!!!! Sweet and adorable, Becky! Love your layout!